Succulents, cacti, and bonsai trees are becoming popular additions to apartments and dorm rooms all over the world. Not only are they irresistibly cute, but they brighten even the smallest of spaces, making them perfect for livening up cramped dorm rooms or providing gentle accents around your home. Combining succulents, desert flowers, cacti, and colourful stones in elegant glass terrariums creates a breathtaking arrangement that will last longer than any bundle of flowers and be twice as beautiful. To create your own, separate buds can be purchased and easily transplanted into a container of your choosing (keep in mind that these types of plants will grow in anything from a toy car to a baseball hat, so feel free to get creative) and then sit back and watch them flourish into a striking living bouquet. Don’t think that the value of plants stops at aesthetically pleasing arrangements, as there are countless health benefits to keeping and collecting house plants. Plants and greenery have been proven to accelerate healing and extend a feeling of calm serenity throughout the spaces they are kept in. It’s no coincidence that people often bring flower arrangements and potted plants to recovering hospital patients. This is called horticulture therapy, which is a healing method that uses the natural connection between people and plants to improve the quality of life and peace of mind of patients of all ages. In fact, just seeing flowers and greenery lowers feelings of pain, anxiety, stress, fatigue, and even systolic blood pressure. They even keep away the negative effects of winter by lowering the chances of getting colds, sore throats, dry coughs, and even dry skin, as well as boosting your mood. House plants are also an excellent idea for students because, according to PsychologyToday, they increase the ability to concentrate and improve memory capacity, making studying and writing tests that much easier. This occurs because plants promote higher brain function by filtering carbon dioxide out of the air and producing more oxygen into it. Increasing your brain function means you also increase your ability to focus, memorize, and avoid stress. Sounds pretty good, right? 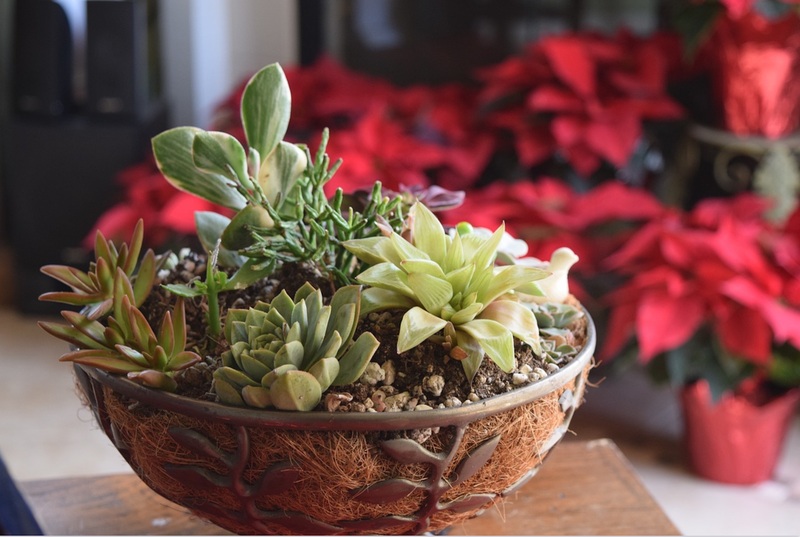 Succulents are especially useful for this, due to the fact that they continue producing oxygen overnight and pulling toxic vapours out of circulating air 24 hours a day. Not to mention they add a much-needed source of positive energy for when exam season strikes. And for those who believe they have a defective green thumb, succulents and cacti are the perfect option for you. They require little space and care, and only need access to sunlight and to be watered just once every couple of weeks. These types of plants are also extremely resilient and come in a variety of sizes and colours to fit every space, especially if you’re having trouble spicing up your interior decorating, so don’t be afraid to try them out. Plants come in all kinds of weird shapes and sizes to fit your style, but each and every type helps you function and feel better on a daily basis. So if you get a chance, invest in a couple of living housemates and I promise that you will not regret it.